Xiaomi Redmi Note 5 officially launches in the Philippines. The handset features a Snapdragon 636 processor, dual rear cameras, 4,000 mAh battery. Xiaomi Philippines officially launches another value-for-money handset in the Redmi Note 5. The phone features an 18:9 display, a Qualcomm Snapdragon 636 processor, and dual rear cameras. Looking back at the specs, the Redmi Note 5 comes with a 5.99-inch full HD display with an 18:9 aspect ratio and Gorilla Glass protection. It features a metal unibody with a premium finish. Under the hood, you’ll find a 2.0GHz octa-core Qualcomm Snapdragon 636 processor coupled with 4GB of RAM and 64GB of storage. It has dual rear camera 12MP + 5MP and a 13MP selfie shooter. The phone also comes with a large 4,000 mAh battery with fast charging support, and a runs on MIUI 9.5 based on Android 8.1 Oreo. The Xiaomi Redmi Note 5 will have a suggested retail price of PHP 11,990. 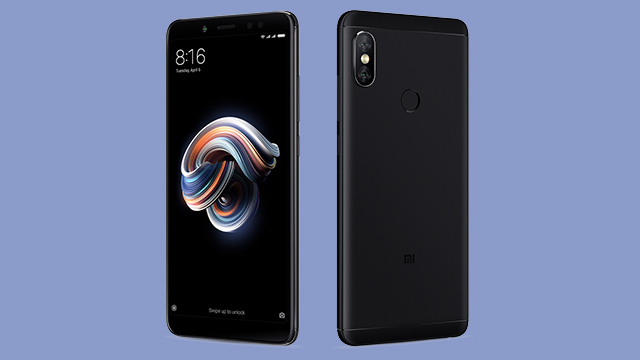 It will be available in the Philippines starting May 15, 2018 at Xiaomi authorized Mi stores in TriNoma and SM Megamall, as well as in their official online store in Lazada.